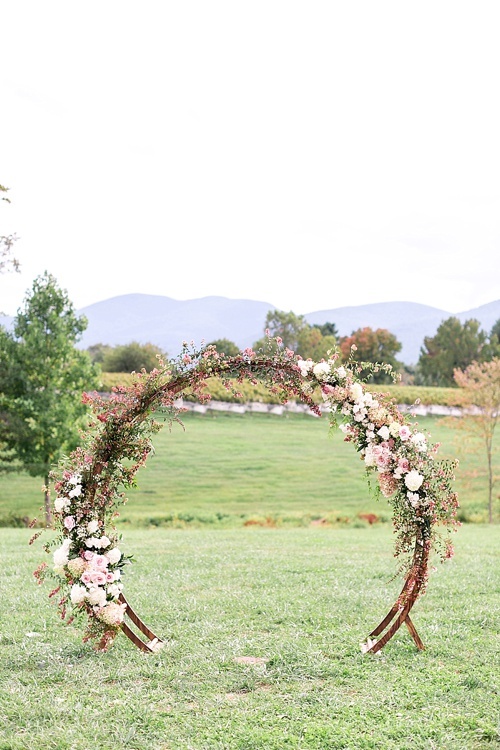 Sometimes the most fantastic ideas for new #pandjpretties are dreamed up in the creative minds of our clients! 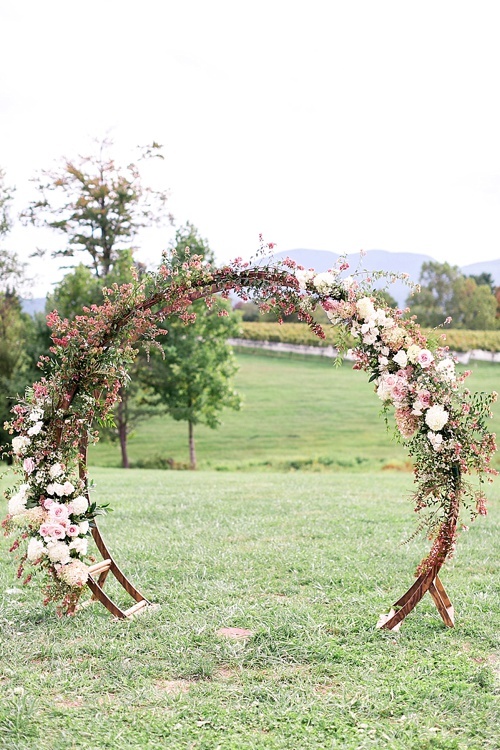 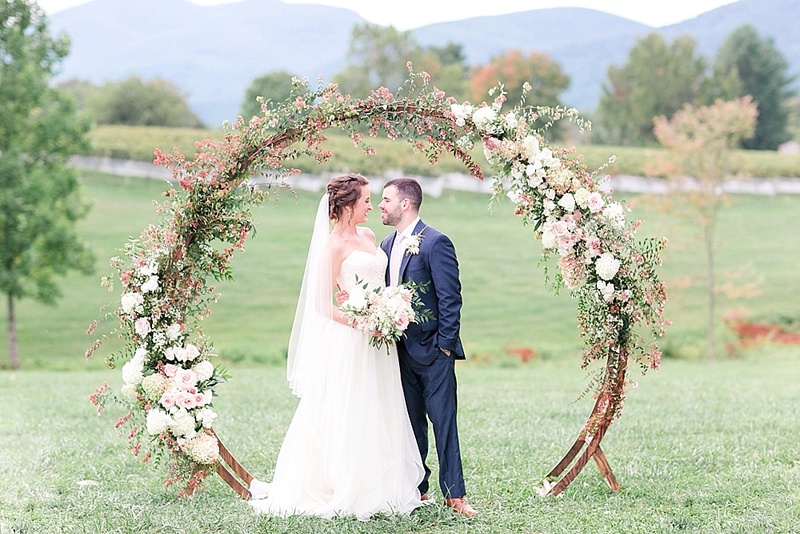 We love having the option to custom build pieces right here at #highpointandmoore and when the soon-to-be-married Jake & Emmy teamed up with the talented Amanda Gray at Ashley Baber Weddings they brought us a vision of a simple and chic arbor they wanted to incorporate into their wedding ceremony. 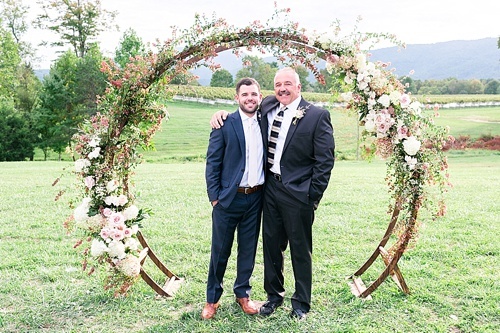 With a dream team of vendors and our awesome Shop Lead/Builder, Bobby on the case, we were excited to help bring this beautiful vision to life! 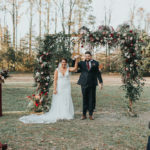 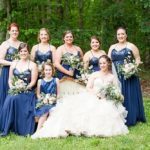 Jake and Emmy wanted a simple wooden arbor with a rounded shape to serve as the centerpiece of their outdoor ceremony. 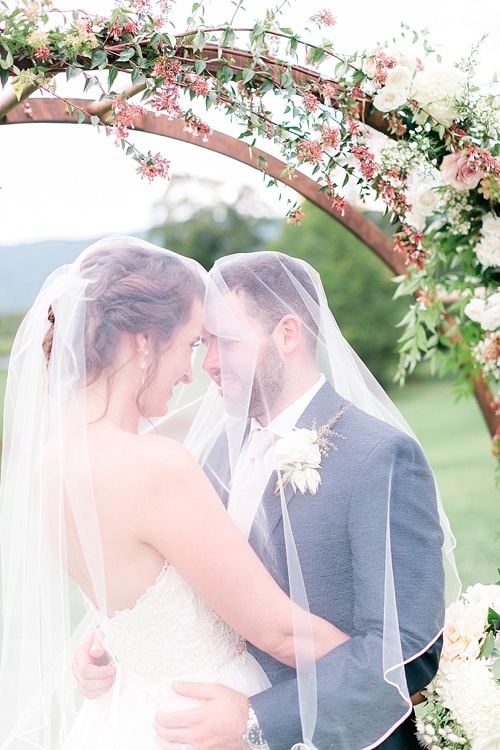 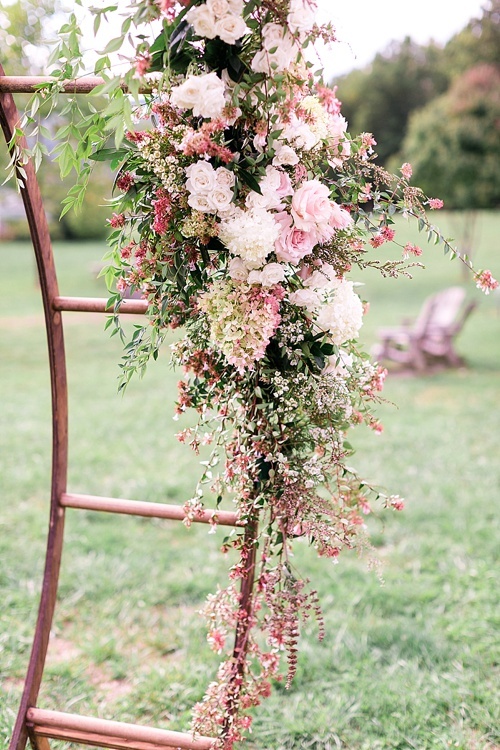 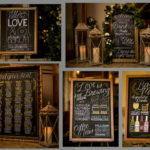 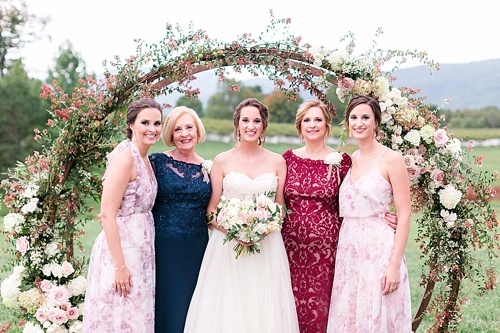 This sweet couple planned to exchanged vows on the gorgeous grounds of Veritas Vineyard & Winery and envisioned a piece that could be beautifully dressed in florals and also blend in with the wonderful natural surroundings. 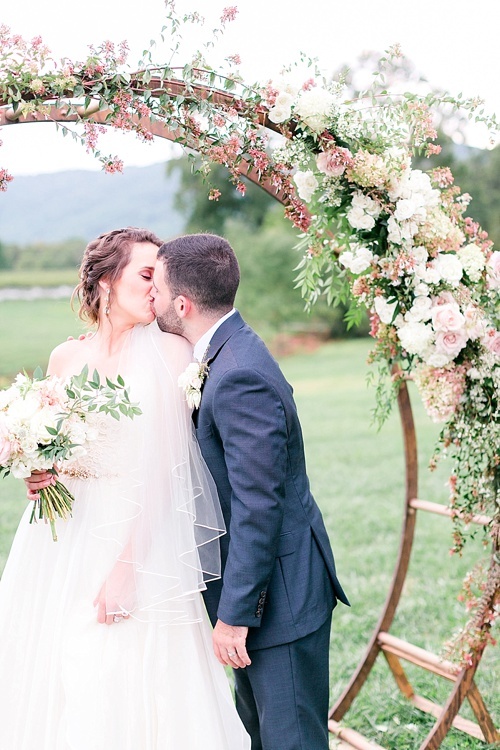 Between the textures, colors and lush layers this arbor took on a whole new persona after she was styled by the awesome team at The Arrangement Company! 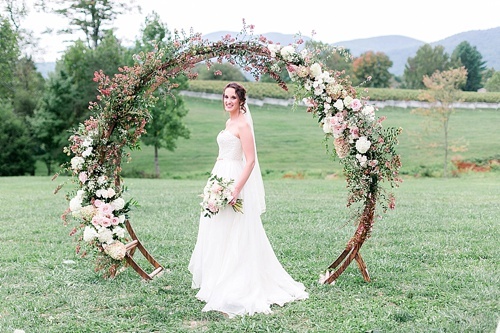 We’re still swooning over the final product! 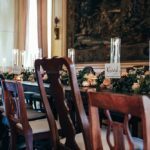 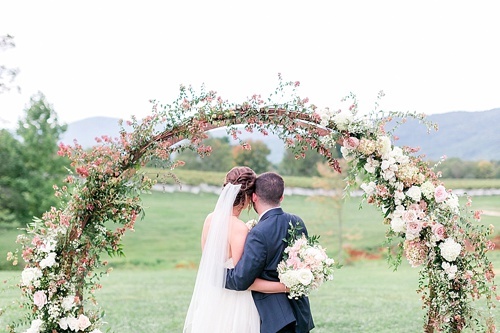 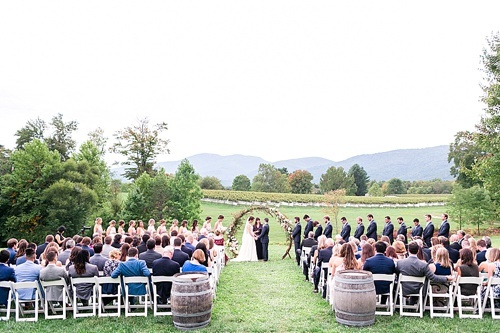 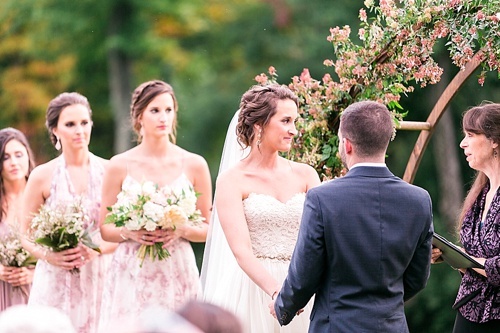 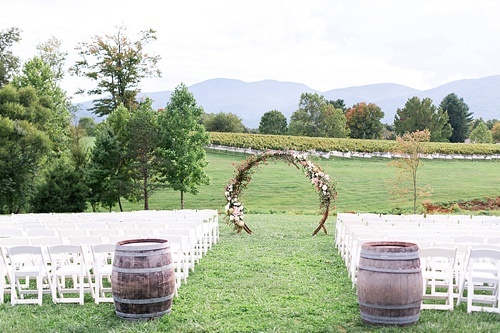 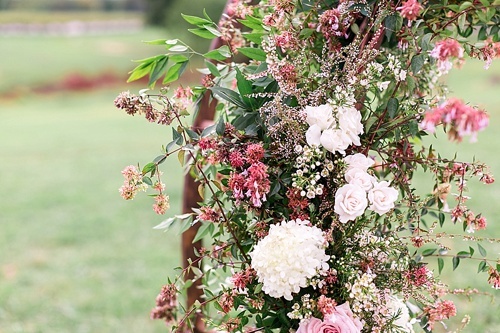 It doesn’t get much more romantic and picturesque than this ceremony design! 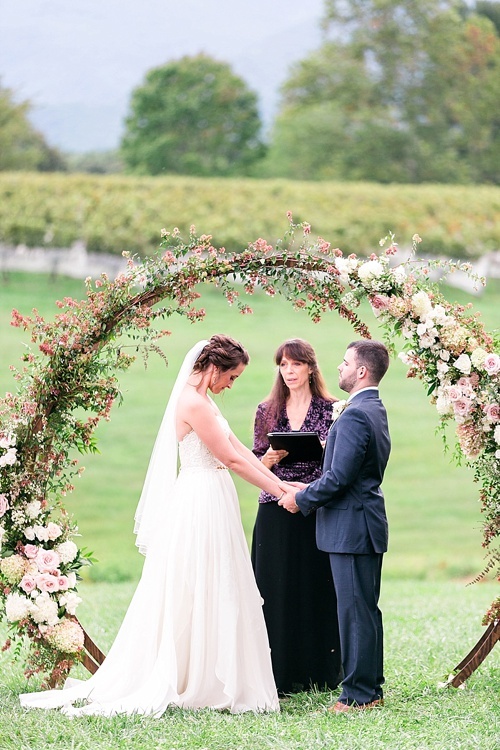 After seeing this lady in action, the Round Wooden Arbor is definitely one of our favorite architectural pieces in our collection! 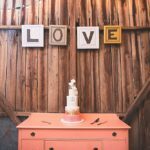 In fact, we dug this design so much we created another version that includes shelves! 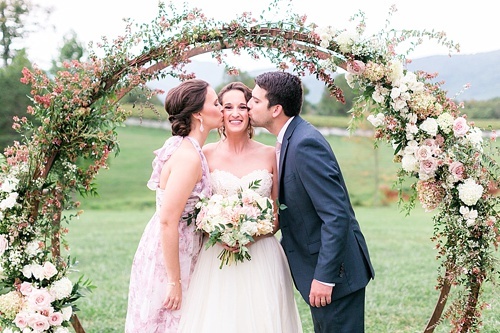 Jake & Emmy not only had this piece take center stage during the wedding but they also used the arbor as a pretty backdrop for post-ceremony portraits! 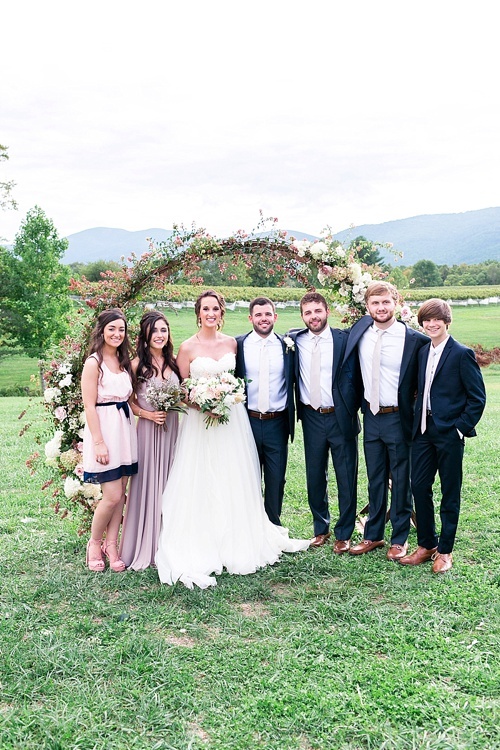 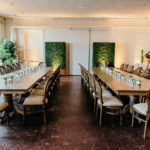 We’re grateful you entrusted our team to help bring your wedding vision to life!